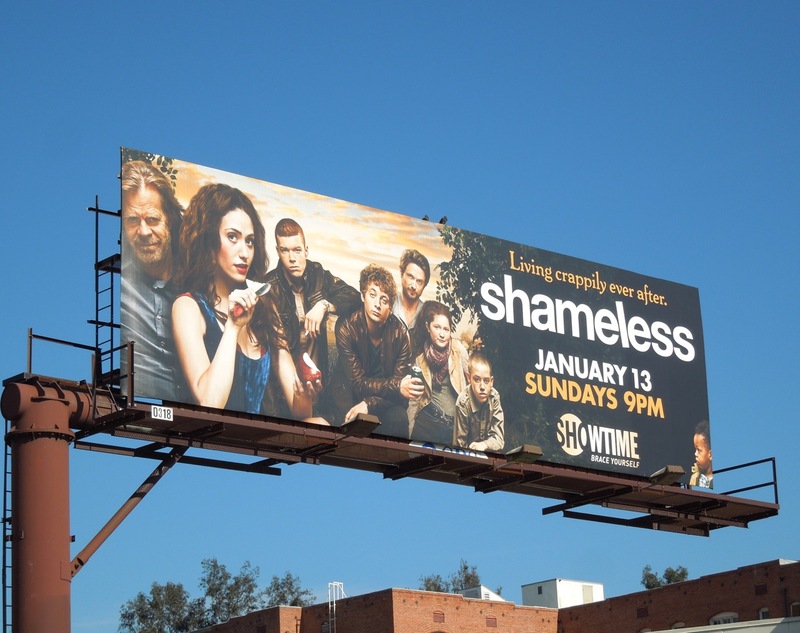 Life's not such a fairytale for everyone, especially the Gallaghers who are 'living crappily ever after'. William H. Macy returns for a third season as the head of the dysfunctional clan scraping a living in Chicago. 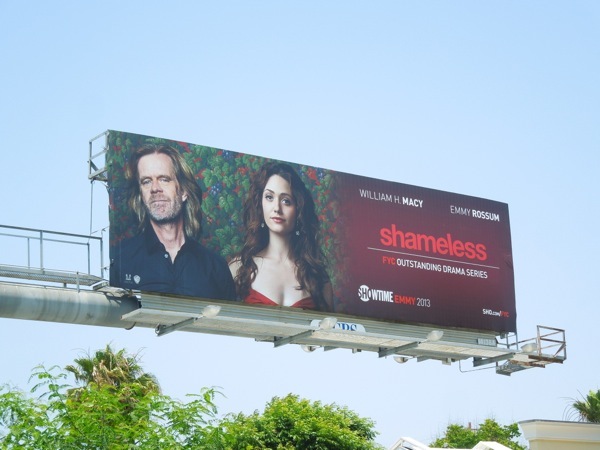 Emily Rossum and the gang pay homage in their unique way to Snow White and the Seven Dwarves in these season three billboards around L.A. 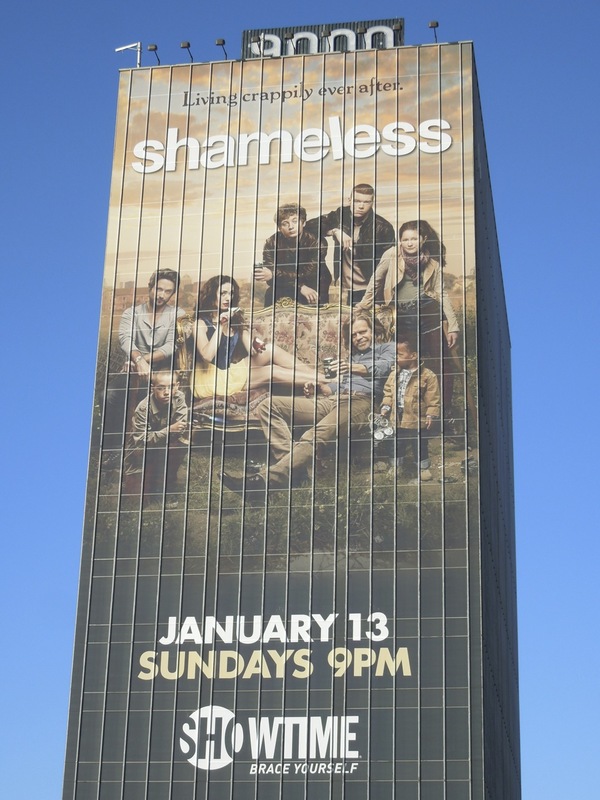 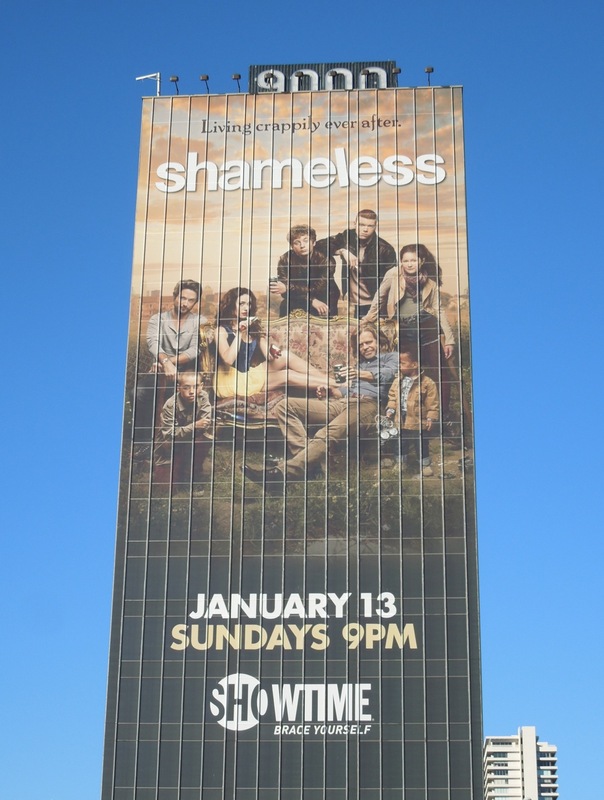 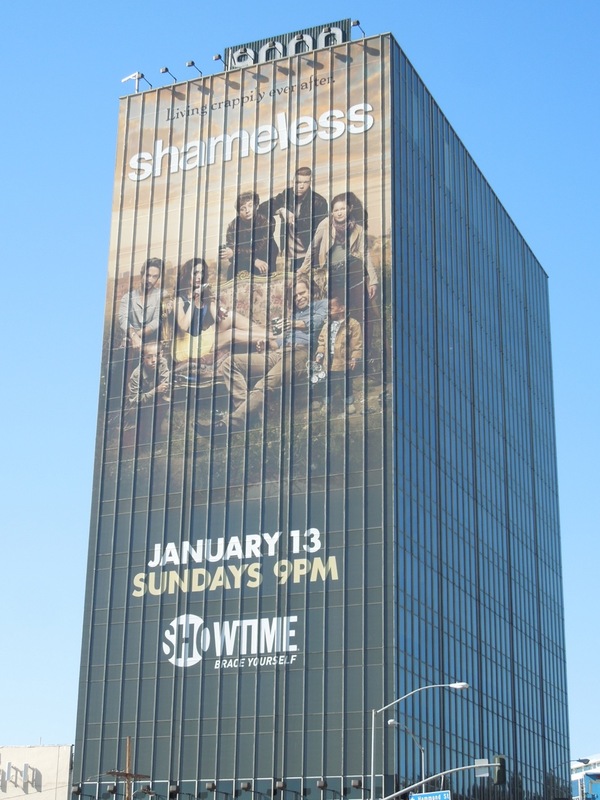 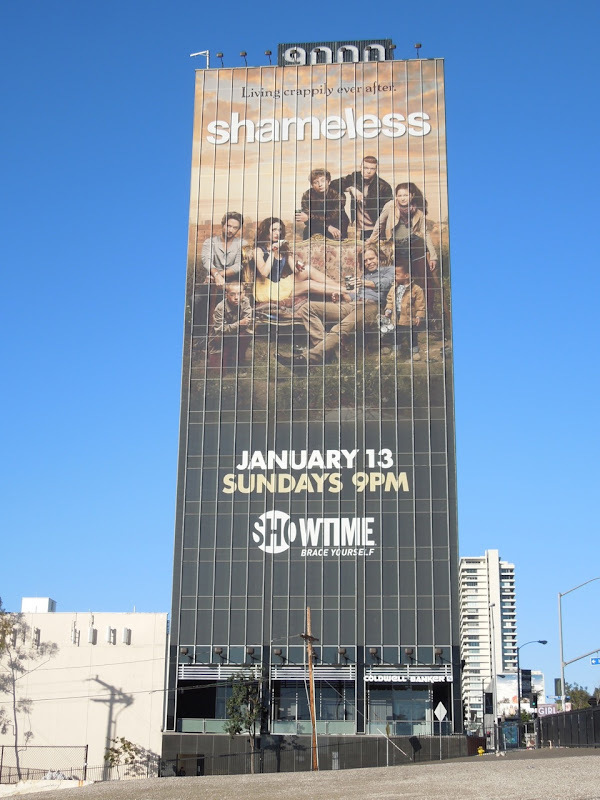 This giant-sized billboard was snapped towering over Sunset Boulevard on December 28, 2012. 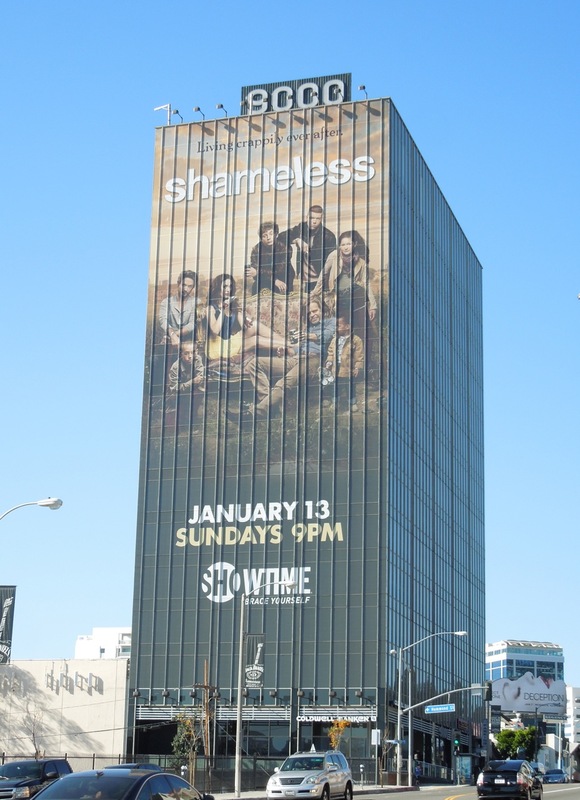 Meanwhile the standard landscape creative for the returning Showtime series was spotted along Cahuenga Boulevard on January 5, 2013. If you're a fan of the show, be sure to check out these Shameless season one and Shameless season two billboards. 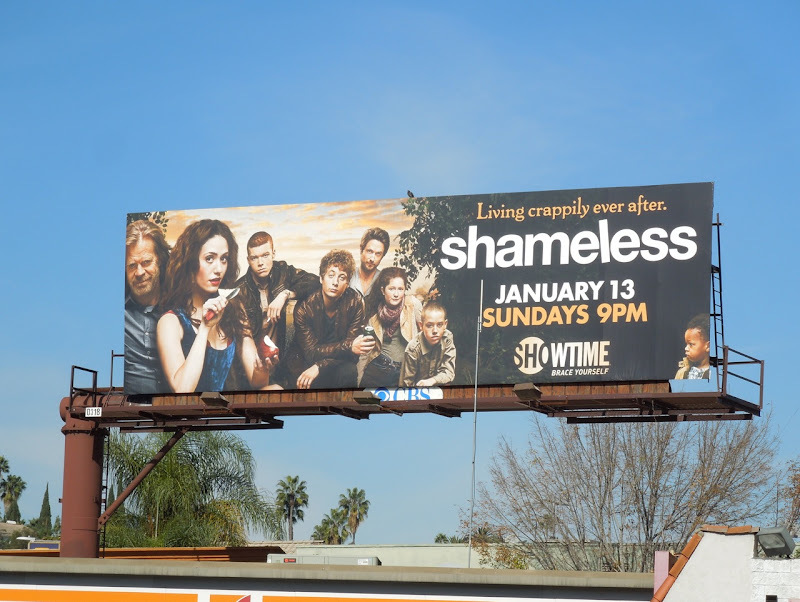 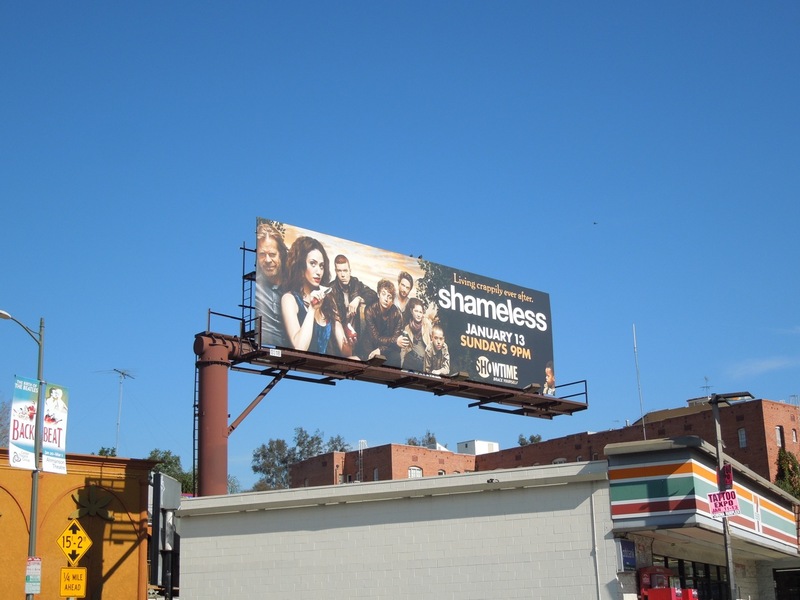 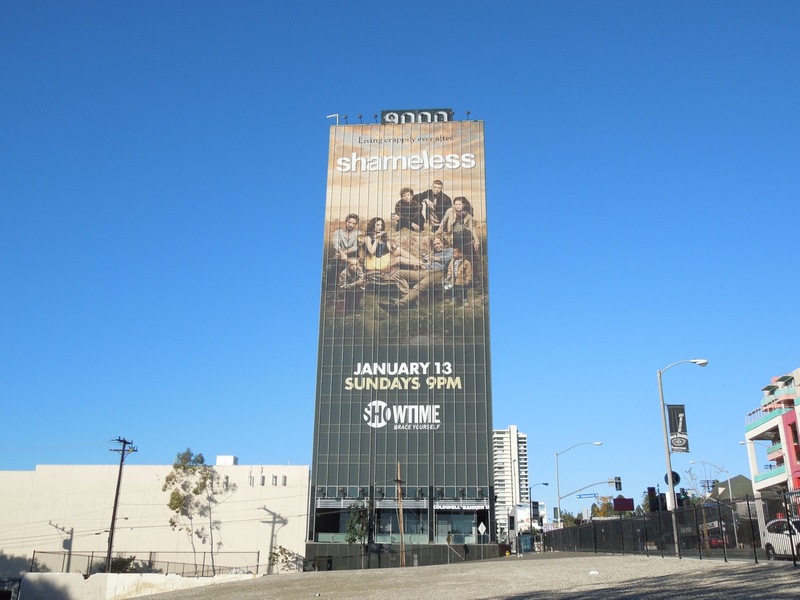 UPDATED: Here's a bonus Shameless season three billboard, this one snapped along Ventura Boulevard on June 8, 2013 as part of Showtime's Emmy Consideration campaign for the show and its stars.